Have you planned Valentine’s Day yet? Last minute gift grabs like Teddy Bears and chocolate might have you sleeping in the doghouse this year! We are in an era of technology-driven disruption, whether you are in your 20’s, 30’s or 50’s, there is a good chance you are often busy & distracted. How can we seize the opportunity to stop and connect with that special someone this Valentine’s Day? Well for starters, a bouquet of flowers and a box of chocolates from the supermarket just doesn’t cut it. This year, Valentine’s Day trends are all focused on experiences and connections. Newly weds & clients of all ages ask me “how do you find balance when you are so busy all the time, how will we be able to manage?”. My advice has always been the same, “stop using the term ‘busy’ as an excuse to avoid real life experiences and truly learn the value of your time together”. Show that special someone how much you appreciate them by spending quality time creating a fun & spicy date-night-in to remember with one of these six unique Valentines Day experiences. 1. Valentine’s dinner planning made easy – forget the line-ups, reservation ques & noisy venues. INABUGGY.com grocery delivery is my number one time-saver for all last-minute needs. Whether you decide to try a new recipe together, surprise her with her favourite meal, want to try out a fresh pre-made meal or browse a selection of gourmet treats, INABUGGY has you covered! Shop from over 30 local retailers and have your groceries & alcohol delivered in as little as one hour! 2. Shake off the after-work commute and lighten the mood by mixing your new favorite cocktail. Cheers your partner and remind them of that first time you said “I love you”. 3. Have you been trying to get your partner to go to a class with you? Have some fun testing your significant other’s flexibility with some couple’s yoga, followed by a shared smoothie. Check out one of my favourite recipes here. 4. 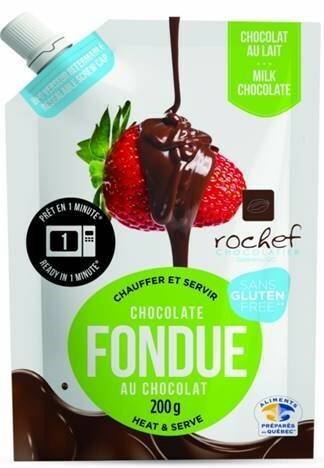 Set the mood with soft music, dim lights and spend the evening dripping in chocolate with homemade fondue. 5. Remember that time? If you have a favourite travel destination, recreate an evening that warms your heart at the thought of it. If it was a beach holiday, maybe include a serving of oysters to recapture the mood and make for a romantic evening. 6. Sometimes all we need is a low-key night with the ringer on mute, let’s be real… this is my plan this Valentine’s Day! Put your phones on top of the fridge and cuddle up to watch Netflix with locally made and fantastically flavoured popcorn. Perks, Quirks & Irks of the 2019 Ford Ranger. A video review of what could very well be the best modern BMW - the 2019 X5. In conversation with the new Project Manager of the Malton BIA - Natalie Hart.